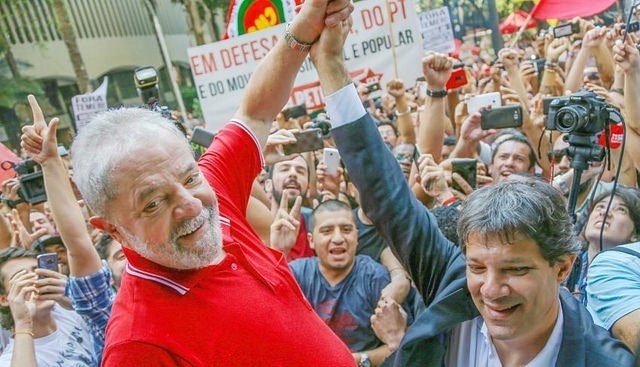 Lula’s lawyer, Luiz Eduardo Greenhalgh, was in charge of reading the former president’s letter next to Haddad and his running mate Manuela D’Ávila, as well as the Workers’ Party chair Gleisi Hoffmann and members of parliament and fellow party members. I have never accepted injustice, and never will. For more than 40 years, I have walked alongside the Brazilian people, advocating equality and the transformation of Brazil into a better and more just country. And it was by walking all over our country that I could see from close the suffering burning the soul and the hope shining again in the eyes of our people. I saw indignation with the many wrong things that are happening and the wish to improve one’s life again. This decision was enforced this month and has been met with widespread protests and anger.